Our feeders and conveyors are designed to work with our machine modules. Different features and capacities have been built into the feeding systems based on applications. The examples below show different Feeders in use. 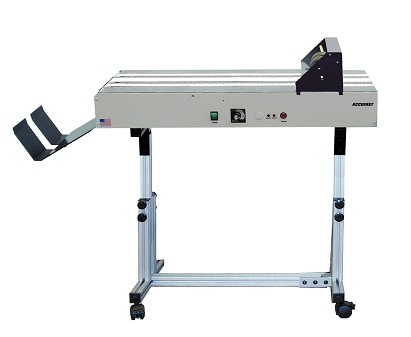 The FX feeder and the 3FV conveyor combine with the KT tabber to make the most reliable single tabbing system going. The FX may also be used in line with a KT2 and features a high speed variant - the FX-03. Here, the P4 is fed by the HDF (Heavy Duty Feeder) and sends printed pieces to the 3x13VT/UV Curing conveyor. 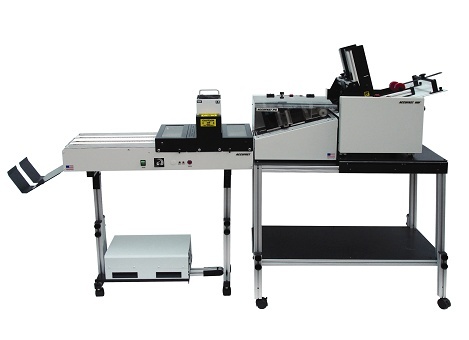 This system is ideal for processing extra glossy post cards and self mailers. The HDF features a large motor, reinforced paper guides, card stack pressure plates, oscillating feeder rolls and twin separators. It is a professional grade friction feeder. It can be ordered as a table top unit or on a variety of stands depending on the application. The 3x13VT Vacuum Transport has been modified from its stock form by adding a UV Cure system with integrated controls, a 220 VAC power supply, UV and temperature resistant belts, and a vacuum transport. 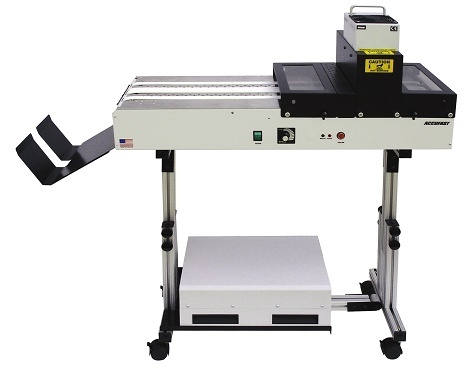 The 3x13VT-UV offers three inches of curing for a very affordable price. 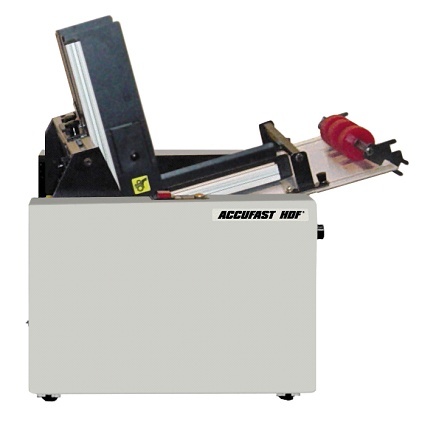 The ACCUFAST CS3 is a general all-purpose conveyor that is used in a number of applications and combinations with various pieces of ACCUFAST equipment. Belt Speed: Adjustable from 0-240 ft/min. 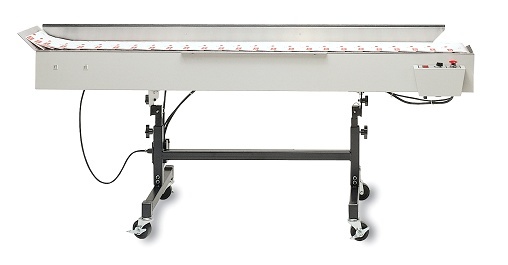 The ACCUFAST 6FV is a full 6 feet long and may be used to convey product straight away or to the left or right. Its transport table tilts and its legs adjust independently to allow for material to run up or down to an operator. The main feature of the 6FV is its extreme flexibility.